Would you like to repair or install a set of metal stairs at your home, office or commercial property? Metal stairs can add value and attractiveness to your home or office. You'll find that there are lots of metal stairs companies to choose from. Price ranges and services offered can vary greatly between companies, and some companies are definitely more reliable than others. The Find Local Contractors Directory helps you to ensure you find the very best metal stairs repair and restoration service and value for your money. Find Local lists many different metal stairs companies, but you can be assured that all of them have a good reputation and are committed to earning your business. The Find Local directory is a great way to find service providers for all your home and business projects. Find Local is easy to use and isn't filled with ads that make searching more difficult and time consuming. The Find Local Contractors directory is a one-stop shop, whether you're looking for a metal stairs company or any other home project or service provider. Because at Find Local, we only provide you with names of contractors who serve your local area, we save you time in your search. And, because all of the providers listed on the Find Local directory are top-notch service providers who are serious about building their business, you can have a high degree of confidence in the providers you choose. Find Local was designed to help consumers in their search to find contractors in their community who are reliable, trustworthy and fairly price. You can count on the Find Local directory to help you find just the right metal stairs company for your job. 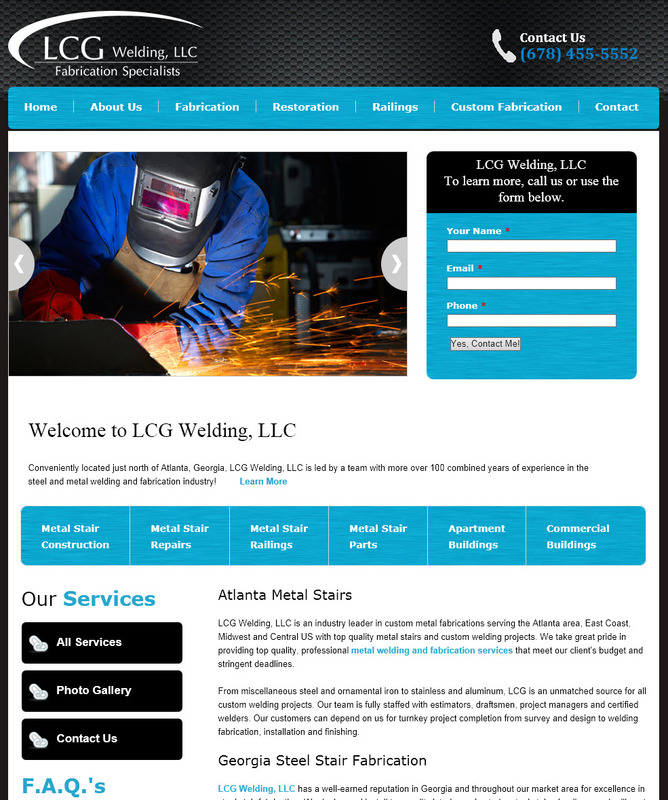 LCG Welding LLC is your Atlanta area source for the design, construction, repair and refinishing of metal stairs. At our full service metal fabrication facility located North of Atlanta, we serve homeowners, property owners, facility managers, and business owners by providing superior quality design, fabrication, and installation of all types of metal products including metal stairs, railings, landings, guardrails, walkways and platforms. If you own or operate an office building, apartment complex, sports or recreation facility, or any type of commercial, industrial, or municipal facility in the Atlanta area with indoor or outdoor metal stairs, LCG Welding LLC is the only name you need to know for metal stair restoration.